Petty Officer 2nd Class Marcus Benavides, from Hugoton, Kan., is receiving training aboard the guided-missile destroyer USS Porter (DDG 78). 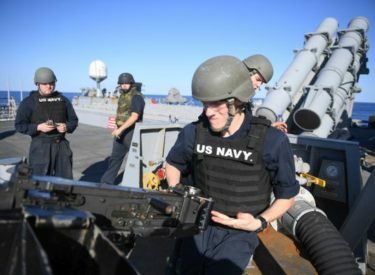 Porter, forward-deployed to Rota, Spain, is conducting naval operations in the U.S. 6th Fleet area of operations in support of U.S. national security interests in Europe. Marcus is the son of Vero Benavides of Hugoton.